With tools like Photoshop and Microsoft Word, there are numerous ways to edit and adjust whatever file or document you’re creating, be it the magic wand to select objects in a photo, or inserting a hyperlink to a report. If you’re a frequent user of these types of programs, keyboard shortcuts or hotkeys can become your best friend. But while most of us know that Ctrl+C allows you to copy, and Ctrl+V pastes, did you know that you can use keyboard shortcuts in PDF files? 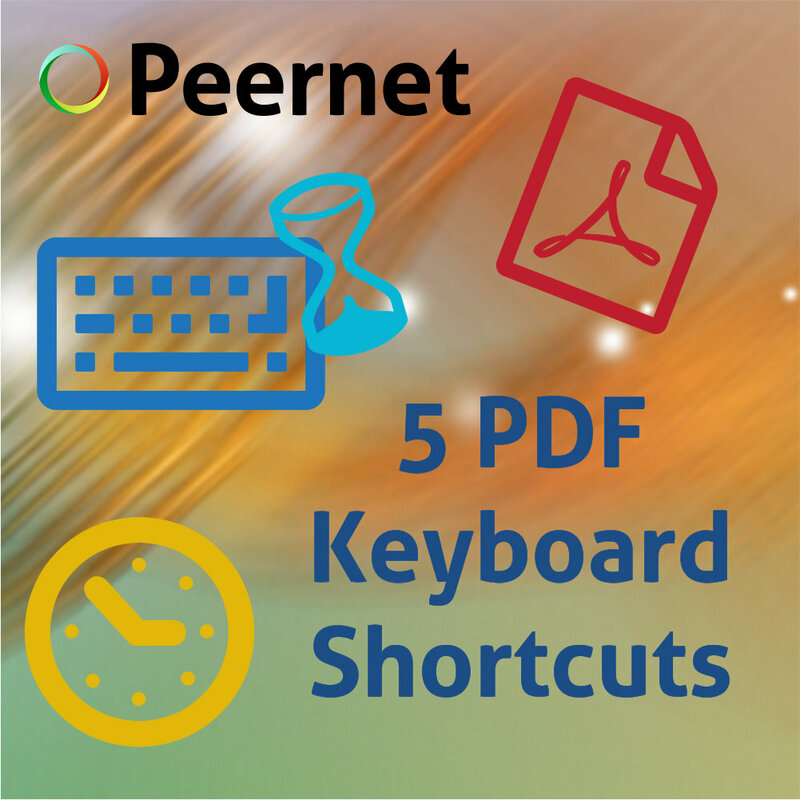 Here’s a guide to some of the best keyboard shortcuts to use in PDF files, to save you time and work more productively. Depending on the scale of the image in a PDF file, you may not be able see it in it’s entirety. In order to navigate around the image, you need to use the Hand Tool, which can be selected with H as the hotkey. Once selected, use the hand cursor to drag the image around to accommodate your view. Bonus Tip: Double-clicking the Hand Tool on the Tools Panel scales the image to fit completely within Acrobat Reader’s window. Using the V hotkey, you can access the Selection Tool. The Selection Tool is necessary in order to modify objects, and is represented with the basic pointer that we’re all accustomed to. Once selected, click on the object you want to manipulate, or click and drag the cursor to create a box to surround the object you want to select. Whether you want to minimize an image, or expand a particular area in order to look at the smaller details, you’ll need the Zoom Tool. Select the Zoom Tool using the Z key. Once you’ve selected whether you want to Enlarge or Reduce with the Zoom Tool, clicking an area will produce the desired effect. The crop tool is used, as the name denotes, to crop an image. Hit the C hotkey, and select an area by clicking and dragging the crop cursor to produce a rectangle. Once the area to be cropped has been selected, double-click inside the rectangle to activate a Set Page Boxes dialog box where you can adjust the margin measurements of your selection. By creating links within a PDF, you give the reader the ability to jump between sections within the document, to other documents including attachments, and even websites. Through the Link Tool which can be selected with the hotkey L, you can click and drag the cursor to create a rectangle where you want to create a link. Once the Create Link dialog box pops up you can adjust the page number and view magnification you want within the same document, select a destination file of another document you want the link to open, or direct the link to open a web page by providing the URL of the destination web page. Bonus Tip: You can also use the Link Tool to create a Custom Link which can be used to set any action, like reading an article, or executing a menu command. Using keyboard shortcuts and hotkeys is a great way to keep yourself from having to hunt down the tool you need through multiple menus and toolbars. By committing these to memory, you can find yourself saving time in the future when working on PDFs. Looking for an alternative to Adobe Acrobat? Try PDF Creator Plus, the cost-effective alternative to easily make PDF files. With PDF Creator Plus you can combine, edit, and merge all kinds of other Windows documents to create a PDF, create searchable PDF files, customize the size and quality of a PDF, and much more. Or, if you’re looking for a simple document conversion tool to create PDFs, our Convert to PDF software is your best bet to get started.